Digital Professionalism Lead at King’s College London, Clinician, Social Media Zealot and Handbag Snob. In demand to consult and lecture internationally, Bernadette provides pragmatic and accessible advice on social media crisis management for employees, employers and students. She is well versed in the detail of both the functionality of social media platforms and the guidelines published by the governing bodies of various professional groups. Bernadette was the Digital Professionalism and Social Media Lead at King’s College University until July 2014, and has 26 years in various professional roles from Midwife to Training Development Manager and Year Lead at a Medical School. 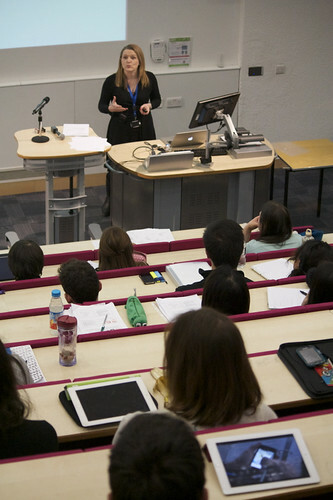 Bernadette initiated the teaching of Digital Professionalism at King’s College London and was the driver for the adoption of this training across the College from Medicine and Dentistry to Law. 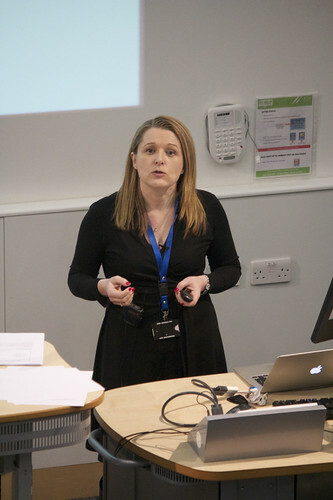 She was the subject matter expert for the Digital Professionalism elearning course which became a compulsory annual complete for all dental and medical students at Kings College London in 2012, which was updated in 2014 and rolled out to all staff and students across the university. This course was rolled out to all staff and students of Guy’s, St. Thomas’ Hospital, South London and Maudsley Trust and Kings College Hospital in February 2015. She spearheaded the creation, evolution and evaluation of KINSHIP, King’s internal social network. Bernadette is the subject matter expert for a new learning course on Digital Professionalism, produced by Virtual College, for license to Higher Education, Public and Private sector employers internationally. A social media super user and an accomplished blogger, Bernadette has worked extensively with prestigious brands, PR agencies and the private sector. Her satirical blog resulted in a column in The Telegraph in 2008, the blog was nominated as one of the Top 50 websites for parents by the Independent in 2008 and Bernadette was nominated as one of the Top 40 Bloggers Who Really Matter by The Times in 2010. She contributes on issues around social media at The Huffington Post and The Guardian. Donnelly, K. (2013). Graduates ‘will miss out on top jobs’ over careless online posts. The Independent (Irish). September 20, 2013. O’Brien, T. (2013). Job-hunters must beware over digital footprint conference told. The Irish times. September 19, 2013. John B. (2014). The dangers of social media. Aesthetics. January 2014. John B. (2013). Schools and Digital Footprints. TheHuffingtonPost.co.uk. March 7, 2013. John B. (2013). Students: how to be boss-friendly online. The Guardian. January 31, 2013. John B. (2013). Do Universities Need Internal Social Networks? TheHuffingtonPost.co.uk. January 30, 2013. John B. (2012). KINSHIP – King’s Social Harmonisation Project, Pilot phase of a social network for use in higher education (HE). Bull. GIRSO. Vol 51, No 3, 19-22. John B., Cheema A., Byrne D. (2012). Raising Digital Professionalism awareness in undergraduate medical education. Medical Education, October 1, 46, 1099-1136. John B., Strong S., Reynolds P., Borel D., Brossard D., Hatzipanagos S., Hernandez-Martin E., Read A. (2012). KINSHIP – King’s Social Harmonisation Project. Developing a Pilot Social Network in Medical Education. Poster presentation. 6th Annual Excellence in Teaching Conference, King’s College London. June 19, 2012. John B., Hatzipanagos S. (2014). Do Institutional Social Networks work? Fostering a sense of community and enhancing learning. 12th International Innovations in Education Colloquium. Invited keynote oral and Powerpoint presentation. Brescia University, Italy. May 8th, 2014. John B. (2014). Digital Professionalism – an essential understanding for our current and future landscape. Oral and Powerpoint presentation, live streamed and recorded for download JISC Webinar presentation. Invited Presentation. UCL, London. April 9th, 2014. John B. (2014). Digital Professionalism – Its all about employability. Oral and Powerpoint presentation at the Janet Networkshop. Invited plenary session, Leeds University, Leeds. April 2nd, 2014. John B. (2014). Digital Professionalism for Clinical Practice, Opportunities and Risks. Oral and Powerpoint presentation at The Dental Institute Teaching Staff Conference, Guys Hospital, London. January 3, 2014. John B. (2013). Digital Professionalism – Opportunities and Risks when engaging with Social Media, as an employee, a student and an insitution. Oral and PowerPoint presentation at University of Winchester. Winchester. November 20, 2013. John B. (2013). Digital Professionalism and employability. 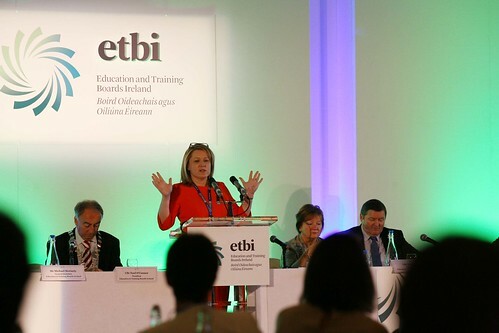 Oral and PowerPoint presentation at ETBI Congress 2013. Kildare, Ireland. September 22, 2013. John B. (2013). Digital Professionalism and e-Safety. 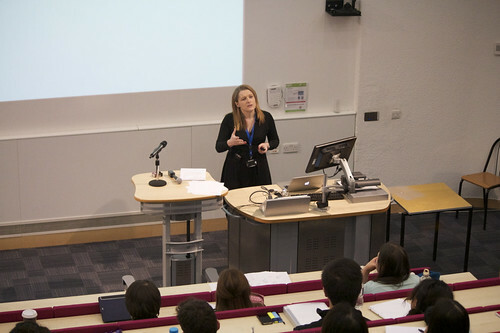 Oral and PowerPoint presentation at Jisc RSC e-Factor 2013, It’s all about motivation conference. UCL, London. June 20, 2013. John B. (2013). Digital Professionalism, a Key Issue for Clinical Practice. Oral and Powerpoint presentation to Clinical MSc Students in Leadership at Great Ormond Street Hospital, London. May 23, 2013. John B. (2013). Digital Professionalism. Poster Presentation at Innovations in TEL and Horizon Scanning at Kings College London. March 12, 2013. John B. (2013). Digital Professionalism, a Vital Digital Literacy. Three invited presentations, oral and PowerPoint, to students, staff and management of Waterford Institute of Technology, Waterford, Ireland. February 19, 2013. John B. (2013) Digital Professionalism, Preparing Students for the Workplace. UNICA Study Visit from the EU to King’s College London. Cornwall House, London. January 29, 2013. John B. (2013). Digital Professionalism for Clinical Practice. 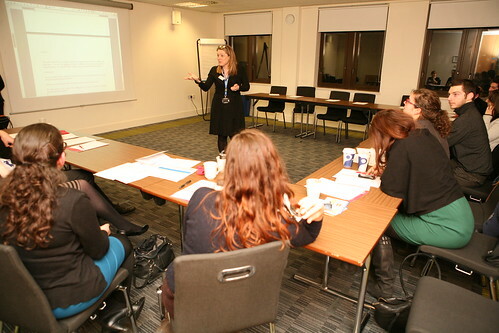 Oral and Powerpoint presentation at The Dental Institute Teaching Staff Conference, Guys Hospital, London. January 4, 2013. John B., Cameron A. (2012). Digital Professionalism for Clinicians. Workshop at Institute of Psychiatry Post Graduate Students Away Day. Denmark Hill, London. December 11, 2012. John B. (2012). Digital Professionalism, Providing students with an edge in a crowded workplace. AMOSSHE SE Regional Meeting. UEL, Docklands, London. 30th November 2012. John B., Ding C. (2012). King’s Social Harmonisation Project. Pilot Phase of a Social Network for Use in Higher Education. Abstract and Presentation. International Innovations in Education Colloquium, Brescia University, Italy. May 11, 2012. Communications generalist, project manager and digitally aware advisor, until recently, a self confessed social media phobic. Leanne stands for honest, easy to understand communication including clear instructions and guidelines tailored for the audience. Recently described as ‘Mary Poppins’ by a delighted customer, Leanne is the ‘roll up the sleeves and get stuck in’ type who delivers quality results. With a healthy respect for social media communications and thorough research, Leanne was responsible for the strategy, user guidelines and training for the King’s College London Estates & Facilities helpdesk Twitter launch, producing a branded Twitter avatar and homepage. Ever adaptable, Leanne delivers publications and branded items, press releases and intranet writing and editing as well as stakeholder management, project communication strategy and planning advice.